Entrepreneurs and business owners are a driven bunch. Many of us are fueled by success and the next challenge. However, some of us are also afraid of failure. Fear of failure might be holding you back from reaching your full potential as an entrepreneur. The reality is that we all fail. If you think that you can’t fail and still be successful, you could be missing out on a lot that makes life worth living — and that can help your business flourish. 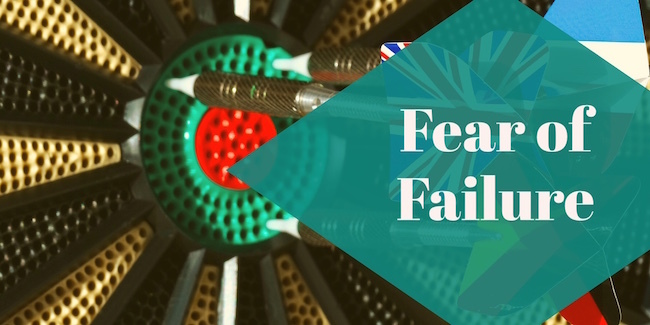 You can get over your fear of failure by focusing on the lessons involved, rather than fixating on what went wrong. Once you finish throwing yourself a pity party, take a look at the lessons you can learn from what went wrong. Every failure comes with lessons you can apply to your business to improve. Once you understand that failure isn’t the end of the world and that it comes with life and business lessons, you might be surprised at how much you learn. And what you learn can be used to become a bigger success later. You can’t succeed in business if you don’t take risks on occasion. When you are willing to stretch yourself and risk failure, that’s where the growth takes place. You don’t get better inside your comfort zone, and you can’t take your business to the next level if you aren’t willing to fail a little bit. That risk can push you to new heights. Even if you stumble, you are learning and growing. Overcome the failure, move forward, and stretch for the next goal. You are likely to be stronger because of the failure you experienced. Before you let fear of failure keep you from trying, think about how much stronger you will be if you can overcome a setback. And, even better, once you get used to taking calculated risks, you will fail less over time. Maybe your vision is just a little off. Sometimes we have blinders when it comes to our business. The fear of failure keeps you on the safe road, and you might not see what could be. You might have a vision, but be afraid to try it. This is where failure can help. When you fail, you have the chance to determine whether or not your vision is realistic. Failure can push you to tweak your vision in a way that can change things. Once you get out there and try something, you might realize that your idea or approach should change. Failure can help you see that, course-correct, and experience greater success later. Don’t let fear of failure hold you and your business back. Embrace failure as a teacher and as an opportunity to review, reflect, and improve. In the long run, getting out there and risking failure can be the nudge that leads to true success.